As most many of you may be aware, the new General Data Protection Laws came into practice on 25th May 2018. Asfar, has made every effort to engage and ensure all of our contacts are both aware of these changes and provide the opportunity to stay in touch with us. 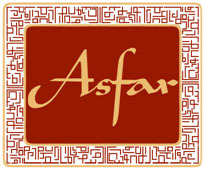 If you haven’t completed Asfar’s contact information update form, you can still access it by clicking on the below link.